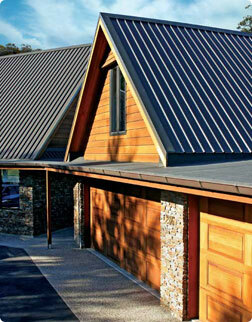 Half Round Gutter is an elegant, modern gutter well suited to high-end architectural applications. Available in either Flat back or Round, with a vast array of accessories in the complete Colorbond® range, contact your local branch for more information. Hi-Front Quad 115 Gutter. This practical profile has a modern extended face, enabling the roofline to be concealed with the traditional quad styling. Available with a slotted or plain finish. 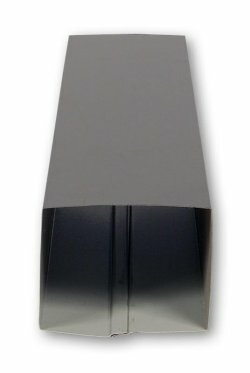 Metroll's Fascia gutter is designed with a square profile to match the fascia, it features high carrying capacity and comes with a return on rear gutter for fixing to roof sheeting. 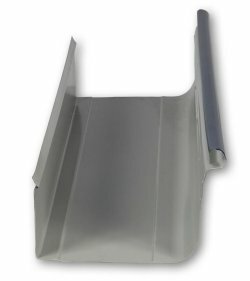 This fascia gutter is suited for shed, carport and patio applications. Square fronted gutters are designed to hide the ends of roof sheets and have slots in them to help the water overflow freely in heavy rain without entering the roof space. 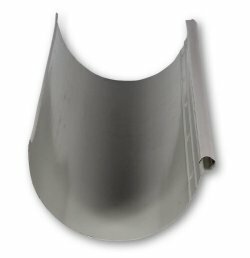 This popular traditional style gutter is used for new buildings as well as matching older installations. 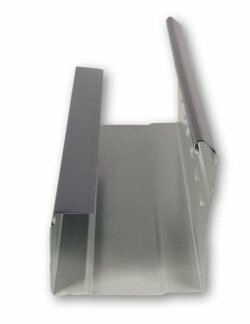 The high tensile steel construction makes Low Front Quad Gutter very easy to work with and provides minimum denting capability. 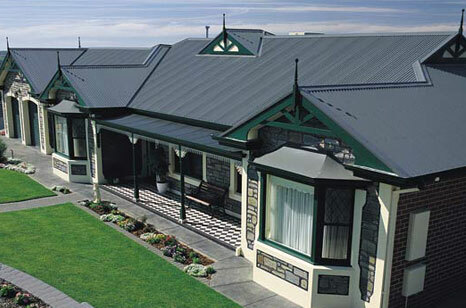 The Low Front Quad Gutter accessories include cast angles and comes in an extensive range of colours. 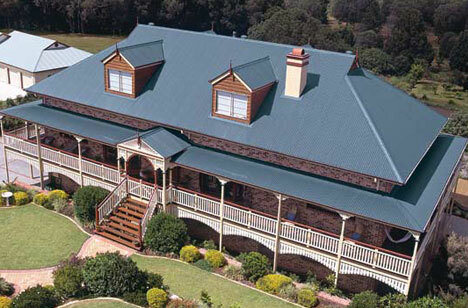 Downpipes are manufactured out of Bluescope Steel Colorbond® and Zincalume® steel. 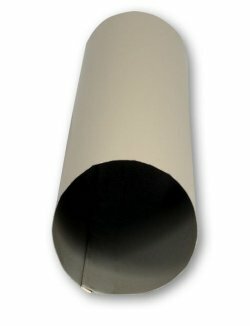 To compliment that finish you are after, Metroll can provide you with a range of round Downpipes. Metroll can provide Leafguard, that saves time and effort by keeping leaves out of gutters and downpipes, making maintenance so much easier.